If you’re new to the term ‘Local SEO’ then sit down and get some coffee or a soda because your world is about to change. 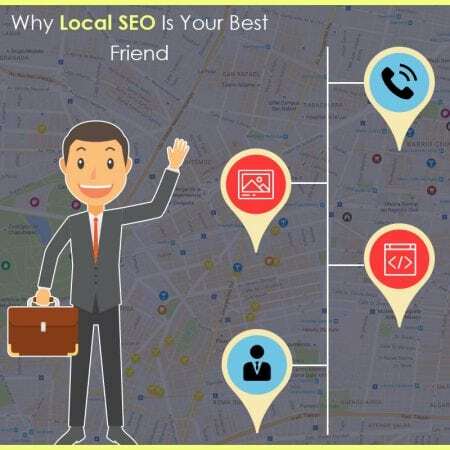 Local SEO is nothing more than doing SEO with keywords and keyphrases and keygroups that exploit words and phrases and terms particular to your location. That means word like the name of your town or city, state or neighborhood and even your street. It also means the names of local people of prominence and events of public popularity. It also means using words of local historic prominence and the names of those that made history. You might ask why you should use the name of the local historic figure from the Revolutionary War who won a battle there in conjunction with your plumbing business. The two have nothing to do with each other. That is the farthest thing from the truth. You would not believe how many people looking for that Revolutionary war hear also might need plumbing work done. It may not be in the same volume that your basic keywords are reaching, but it’s business all the same. People search for things all the time and they also need goods and services and while searching via the web for other things than your business, will stumble upon your website’s content by accident. This is just like getting free advertising. This is why you need to really look at your website determine if you’re getting the most out of the content you’ve posted. It calls for having an engaging website with the public on all levels. This will then turn words you u didn’t even think were important into magnets for traffic. This is why you use your contact information in as much content on your site as possible. All your pictures, videos, graphics, copy should if possible contain your location and any pertinent local data. Don’t do any keyword stuffing, just let things flow naturally. This will register with Google as valued and informative data, just not random junk tossed around for trying to beat their system. First of all you need to analyze your site to make sure that your NAPs are in order. That’s Name, Address, Phone. It should be at the top or bottom or side of the webpage and on every page. This way you’ll be able to get your pages indexed that include this vital data. Google doesn’t index sites, but they index webpages so if your site’s pages don’t have your local data on them you’ll be missing out on opportunities. Once you’ve perused your site to see what local info is there you’ll know where you need to put it if neglected and how to efficiently put the local data so as to be indexed but not penalized. On pages where you’re showcasing your goods and services make sure the page has your NAP data and in the copy and images they’re tagged with local data. Of course your goods and services should be prominent but wherever you can put that local data then do so. If local SEO is a major challenge at present then it’s a good idea to get professional help. Local SEO Tampa is the company that will get the job done pronto. They’ll do the kind of analysis and evaluations to determine where you stand and what you’ll need to do. They’ve all the top technologies and tactics that will get your local seo campaigns up and running properly. Since SEO take time they will stick with you through the duration with tier friendly and reliable services and famous customer service.